What Does A Kansas City Property Manager Cost? 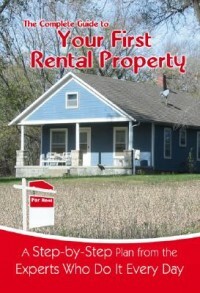 Here in the Kansas City area a property manager can be a blessing or a curse. There are really good property managers. There are really bad property managers. Many different things go in to the whole make-up of what makes a good property manager or a bad property manager. But what about cost? Like realtors, property managers can set their own rates though competition tends to keep the pricing structures pretty close together. I think you’ll find the average cost of a property manager in the Kansas City area to be about 8% of collected rents. Now, there are property managers that will charge you 6% and some as high as 10%. But 8% definitely seems to be the trend. And then there are associated costs. Who keeps late fees or application fees? The real estate investor or the property manager? If there is any rehabbing is there an oversight fee by the property manager? And what about lease-out charges? Generally when I’m guessing on expenses for a property I will figure 5% vacancy, then 8% management charges and 75% of one month’s rent for a lease-out charge. That may me a little high or low but I think it’s a great way to at least account for some if not all your property management charges when deciding whether a property is for you or not. Is there anyone that you would recomment in the Kansas City/Raytown area? We are searching for someone right now. 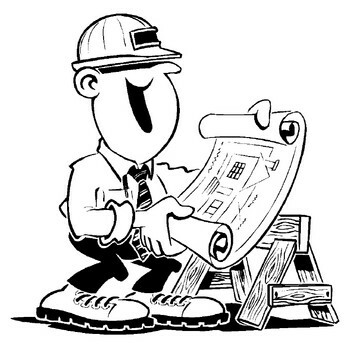 We are leaning towards Turnkey Properties because we think they will do a good job and have a good system in place, but they are towards the upper end of your estimates. 75% of first month, plus 10% per month. There are also setup fees, advertising fees, eviction insurance, etc. This could easily lead to around 20% of the first year’s gross income just for management. Turn key is not too bad. But they do make you sign an exclusive right to sell with them. I’ve spoken with the owner before and he seems okay. But I have no practical experience with him so I can neither recommend or not recommend. Well, as it turns out, you were correct about the exclusive right to sell. The funny thing is that my partner is an agent as well, so we weren’t really too interested in turning over the sale to them. We don’t even plan to sell in the near future, but it’s just the principle of potentially having to let them conduct the sale while one of the owners (my partner) sits and watches. Turn Key’s website states that everything is negotiable. I tried to negotiate on three parts of the agreement and was flatly turned down on all of them. In lieu of letting them sell it, they would be willing to take a referral fee from us when it sells, which would probably end up being about $1,000. They weren’t willing to budge and neither were we, so they turned away over $4,000 a year in management fees from us because we weren’t willing to give them $1,000 for doing nothing when we choose to sell. Needless to say, we are looking elsewhere for management at this point? Anyone have any good recommendations in the KC/Raytown area? Hello Chris & Matthew. I, too am looking for property managemnt in KC. I tried signing up with Horizon Prop Mngmnt, but they won’t email me an application – even though they said they would. A property manager named Henry Lyons got my number from an associate of mine, he contacted me & left a voicemail; but when I called him back, his phone was disconnected – not a good start. If any of you guys can recommend a good property manager in KC, you’d really be helping me out. Thanks. 8% sounds about the average. I don’t own property in Kansas City but in Indianapolis the management company that I use charges a flat $50.00 monthly fee. What I like about this management company is their leases run for 2 years.